Mental health is an important issue for all of us. Nearly every one of us will be affected at some point by mental health challenges. We will experience them personally or they will happen to people in our lives. Poor mental health is easily overlooked. We often focus only on what we can see, not on what is hidden. Sometimes challenges to our mental and emotional health are not immediately obvious, as bruises or broken bones might be. Society has come a long way towards acceptance of mental illness. But there is still stigma associated with struggling mentally or emotionally. People often feel the need to conceal these struggles from those around them. Mental health is something I feel very strongly about, because it has affected people in my life. In particular I think of some children of close friends. One of these young people committed suicide. The other attempted suicide but did not succeed. These events broke my heart, not only for the children in question, but for their family, friends, neighbours – their whole community was affected. Sadly, but not unusually in these cases, my friends were totally unaware of their children’s mental health condition until it was too late. Every effort needs to be made to find a solution and to promote understanding and awareness of the challenges that mental health brings. It is up to all of us to promote strong mental health and wellbeing in our community. It is my hope that the many levels of our society – government, business, community organisations, education institutions – can come together to support the mental wellbeing of our people. 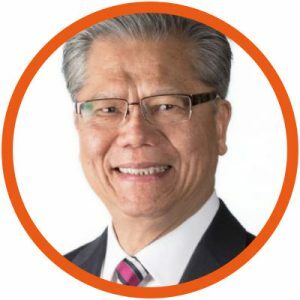 More than simply the personal tragedy involved, the mental health and emotional wellbeing of our citizens and workforce are directly linked to the prosperity, vibrancy and cohesion of our society, and thus to our future. Often people may not seek help because they may not understand what is available, and how to access it. It is important for all of us to have empathy and understanding for one another, and especially for people experiencing mental health challenges. We need to look out for our family members, friends, colleagues and neighbours. We need to notice those who are not coping and to ask how they are – and really mean it. 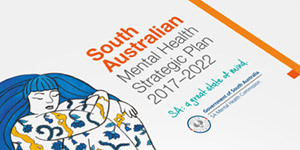 I want to thank the South Australian Mental Health Commission – the Commissioner, staff and members of the Community Advisory Committee – for their passion, dedication and hard work and for raising awareness of the importance of good mental health.